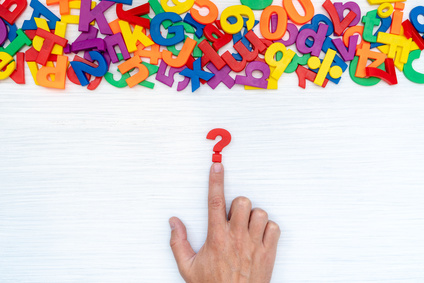 HR Acronyms Confusion: Do We Really Need Them? We were shocked a few months ago to be asked by one of the manager’s we were working with ‘what does HR stand for’? He wasn’t being difficult, he genuinely didn’t know. And this of course begs the questions that if HR’s most commonly used acronym ‘HR’ isn’t understood by everyone, what else isn’t understood? It never ceases to amaze us how many acronyms are endlessly used to the confusion of all those around us. The Jaluch team has talked for years about our preference for Plain English, for keeping it simple, but we do feel we’re losing the battle! Are you an acronym aficionado in the HR function who is contributing to frustrations? If you’re wondering what we’re talking about here’s a starter for ten….After doing a RTW following her LTA she was issued with a PIP that reflected both her experience and LoS. Her PIP recommended a full TNA which will probably highlight the need for increased CPD including GDPR and EI training given what has occurred. A 360 might also be useful. Any KPIs set for her need to reflect that she works P/T. I note she failed whilst absent to make use of our EAP which we recently introduced and communicated to staff following a reassessment of our EVP and said that in future this could affect her CSP. Phew……. For contracts, handbooks, policy documents etc that are written in language that staff understand, minimising legal ease and maximising plain English, please call the Jaluch team for support. We love creating documents that are commercial, straight forward and written in plain. Your employees will thank you for it too! Confused? Here’s our mini HR Acronym dictionary followed by a few gentle hints about how we can all come back down to earth! Make the whole HR team more aware of the jargon that is used and how that can come across to others in a negative way for example if they are made to feel stupid or excluded. Agree which acronyms are helpful and which should be banished. Appoint an HR communication champion who sets the standard for clear communication and gently nudges those who lapse back into gobbledygook. if you’re looking for a training solution that focuses on the practical rather than theoretical and that is responsive to realities of the workplace rather than coming from a place of ‘dreamland’ then call Jaluch now. Delegates love our engaging style, the constant participation, the case studies that they can relate to and of course the fun games. Why choose boring when you can choose Jaluch instead?